The weight of household plastic products is light.Household plastic products are light materials, and the relative density is between 2.2 and 0.90.Obviously,can household plastic products float to the surface of the water?In particular, foaming household plastic products, because there are micro pores, texture is lighter, the relative density is only 0.01.This property enables the production of household plastic products to be used in the production of reduced weight. Household plastic products have excellent chemical stability.The vast majority of household plastic products have good corrosion resistance to acid, alkali and other chemical substances.In particular PTFE (F4),its chemical stability is even better than gold, put it in the "aqua" for ten hours, it will not degenerate.Because F4 has excellent chemical stability, it is an ideal corrosion resistant material. 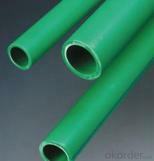 For example, F4 can be used as a material for conveying corrosive and viscous liquid pipelines. Household plastic products have excellent electrical insulation properties.Ordinary household plastic products are poor conductors of electricity, the surface resistance, a large volume resistance, with a digital representation of up to 1018 a 109 ohm.The breakdown voltage is large, the dielectric loss tangent is very small.Therefore, household plastic products have a wide range of applications in the electronic industry and machinery industry.For example, household plastic products insulation control cable. Household plastic products is a poor conductor of heat, it has the effect of noise elimination and shock absorption.Generally speaking, the thermal conductivity of household plastic products is relatively low,it is equivalent to the steel products of 1/225 - 1/75,the micro hole of the household plastic product contains the gas, and the heat insulation, sound insulation and shock resistance are better. Such as polyvinyl chloride (PVC) thermal conductivity is only 1/357 of steel, aluminum 1/1250. Some household plastic products as hard as stone, steel, some soft such as paper, leather;From the hardness, tensile strength, elongation and impact strength of domestic plastic products, the range of distribution is wide, it has a lot of room for use.Domestic plastic products also have obvious shortcomings, such as it is easy to burn, its rigidity is not as high as the metal, its resistance to aging and heat resistance and so on.